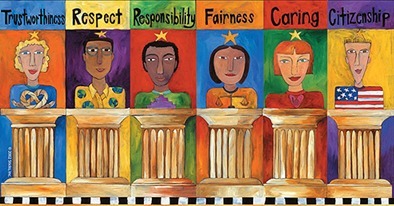 Check back for information about the Character Counts program, and how we can grow RESPECTFULLY! People all over the country use it as a guideline and resource for raising responsible, respectful children. There are useful tips on it for parents, teachers, students and community members. CHARACTER COUNTS. EVERY DAY, EVERYWHERE, ALL THE TIME AT SOULSBYVILLE SCHOOL!